Hello and welcome to all ! First, each participant will earn points based on their results during the tournament. The first will win 1,000 points, the second will win 600 points, the third will win 400 points, the fourth point will win 200 points. All participants will earn 100 points. The winner will get a title on his profile but also on Discord. This role will give him access to the #vip trade show where information will be revealed in advance. Can I be in this challenge? Yes, you can. 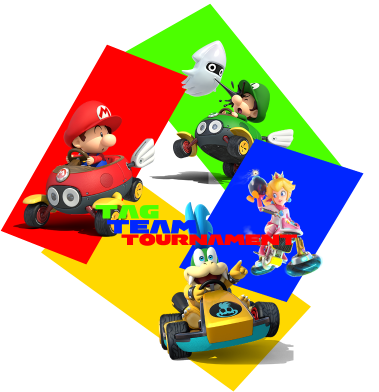 But that's not a challenge, that's an official tournament organised by the administrators of Mario Kart PC. Also, can my partner be B_Ball_Beast3? Azy azy azy Megawolf dans la place il va niq*** des grand meres et tt wlh jvous jure fais péter mon nom dans les inscription ou jte goume ! Anyone available to be my partner? I really want to join, but first, @Aluigi1300 Do want to be my partner ?